Hey, it’s Dr. Wiggy again. I’m hoping the previous articles written by Dr. Lantelme helped open up your eyes to some of the “behind the scenes forces” at work against you and your health. The good news is that even though you’ve got those things working against you, there are a ton of simple steps you can make to take ownership of your health. Which brings me to this next topic, one I’m surprised I hadn’t talked about before. I’m going to talk about America’s new “favorite” fat. Yes, Americans do love fat, but this one’s popping up all over the place because of how wonderful it is at helping accomplish a wide variety of health goals. Good news here is the fat I’m going to talk about can help you lose weight, moisturizes your skin, and can even make your brain work better. I’m going to make this quite easy on you. What I’ll do is list out what I consider to be 6 of the most positive benefits associated with coconut oil. Every single one of these benefits has been proven to be true through scientific testing. These aren’t urban legends, this is the real deal. Coconut oil is constructed of a certain kind of fatty acid profile known as MCTs (Medium Chain Triglycerides). Fat profiles vary in length at the molecular level. MCTs are shorter than many other more complex fatty acids. That means your body is able to break them down for quick, useful energy. The way this works is once the coconut oil’s fatty acids arrive in your digestive tract, they are then driven straight over to your liver and turned into ketones. Ketones are one of your body’s preferred sources of energy. So how does this affect hunger, you might be wondering? Ketones produce a hunger-reducing affect on the body. So the more MCTs you eat, the more ketones your body will produce, and the less hunger you will experience. Though the sample size was small, one study followed 6 men who were fed a varying diet of long and medium chain fats. The men who ate more MCTs consumed on average 256 fewer calories. The findings told the scientists when people consume more MCTs it actually has the effect of curbing appetite. So, what that means is, if you add more coconut oil into your diet, you’ll be less hungry than if you were to eat foods that weren’t high in MCTs. And the less you eat, the less weight you end up putting on. Which then brings me to another positive attribute of a diet consisting of MCTs. If you’ve been reading my articles for any length of time, you might have seen my article talking about fat as a supreme source of energy. Here’s a link if you didn’t read it yet. The same ketones mentioned in point #1 are also the same ketones your body will use for energy. So, not only do ketones reduce hunger, they also can help boost energy. Contrary to popular belief, fat is actually your body’s most preferred source of energy. That’s because a gram of fat contains approximately 9 calories. Calories are a unit measuring energy. When your body is able to break down fat quickly and easily, then it means you have easily accessed energy on demand. The more MCTs present in your diet, the more energy you’re able to process and use, simple as that. And one of the interesting ways this can affect energy levels (as well as body fat profiles) is if your body starts using MCTs as its primary source of energy, your body will look for other fat to turn into energy once you’re “out of” MCT produced ketones. Not too long ago, European scientists discovered when people ingested 15-30 grams of MCTs, their total amount of energy went up 5% over 24 hours. That’s a significant increase. That’s the kind of clean, long-lasting energy you need to feel better and get more done. And, of course, when you have more energy, you’re now able to do more, which ultimately can help you lose weight (without exercise even). 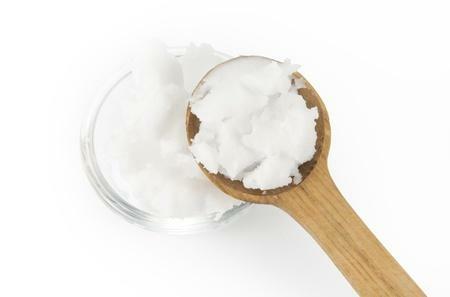 Ok, now you’l get to see how coconut oil can help you lose weight (belly fat). So, as the article suggested, coconut oil can help you lose belly fat. What you might not know is belly fat is some of the worst kind of fat you can carry on your body. The reason why is belly fat is a true indicator of overall health. If you carry around belly fat it means the rest of your body is beginning to suffer the effects of obesity/metabolic syndrome. Belly fat = the start of a decline in health. Well, as I detailed above, coconut oil and it’s composition as a carrier of MCT’s can actually help you lose weight, in particular belly fat. There have been multiple studies that show this to be true. In yet another study, scientists used the same amount of coconut oil with 20 obese men. Each of the men saw their belly fat go down. Their overall waist circumference decreased about 2.86 cm (1.1 inches) after 4 weeks. Perhaps the most unique facet to these 2 studies is none of the subjects were exercising during the study. That shows just the coconut oil was causing them to lose weight. Here’s something quite unique about coconut oil and MCTs. The same ketones that allow your body to see an increase in energy as well as lose weight can really do wonders for your brain. Your brain works very well when supplied with ketones as opposed to glucose. What some studies have shown is the use of MCTs to produce more abundant ketones can actually improve the memory of those who suffer from milder forms of Alzheimer’s. Then there are the benefits provided by coconut oil when used as a topical solution. Coconut oil contains Lauric acid which is anti-bacterial and anti-microbial. And then theres what it can do for the skin. When placed on the skin, it works as an amazing moisturizer and even as a UV protectant. The fatty profile of coconut oil works to improve skin quality by helping it retain moisture and improve the flexibility and pliability of skin by improving the lipid profile. It’s even been shown to help block as much as 20% of the sun’s harmful rays, which is something not that many other oils can boast. And if I wanted to, I could go on and on with the benefits of coconut oil. When selecting coconut oil I always recommend getting unrefined, organic coconut oil. You can cook with it at relatively high temperatures and it won’t burn. Try to get organic if you can because organic coconut oil generally comes from farms where they take good care of the environment. And don’t be afraid to rub it on your skin at night.